Angel Gurria, the OECD’s secretary general spoke in Paris on Monday morning, and he reflected the OECD’s generally pessimistic tone. 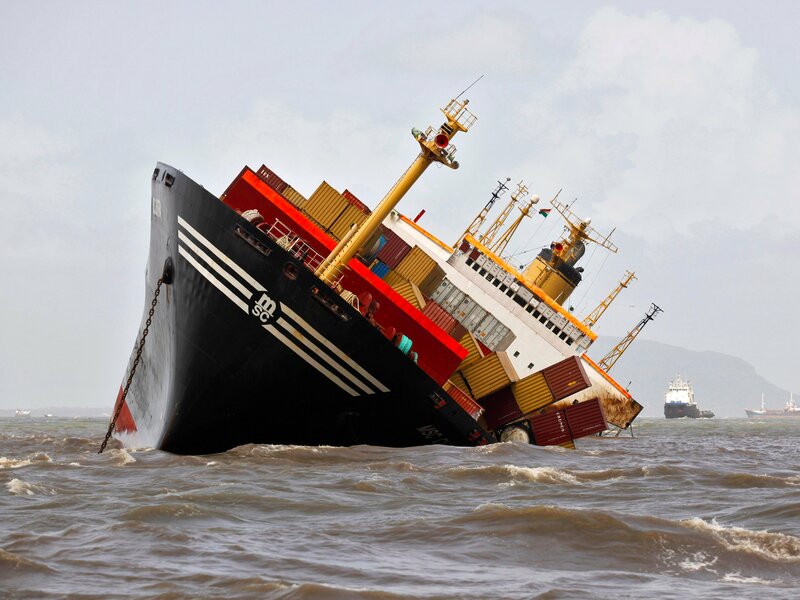 “The slowdown in global trade and the continuing weakness in investment are deeply concerning. Robust trade and investment and stronger global growth should go hand in hand,” said Gurria. Alongside the Economic Outlook, the OECD releases a huge amount of information, including a boat load of charts and graphs, some of which show just why the organisation thinks that the current economic situation is so worrying. First up, global economic growth has slowed to roughly 3% this year, pushed down by China’s slowdown, the commodity price crash, and recessions in Brazil, and Russia. Next, growth in global imports has dropped to less than 2%. Imports by OECD countries have grown by about 4%, but a there’s been a fall of more than 2% in non-OECD countries. 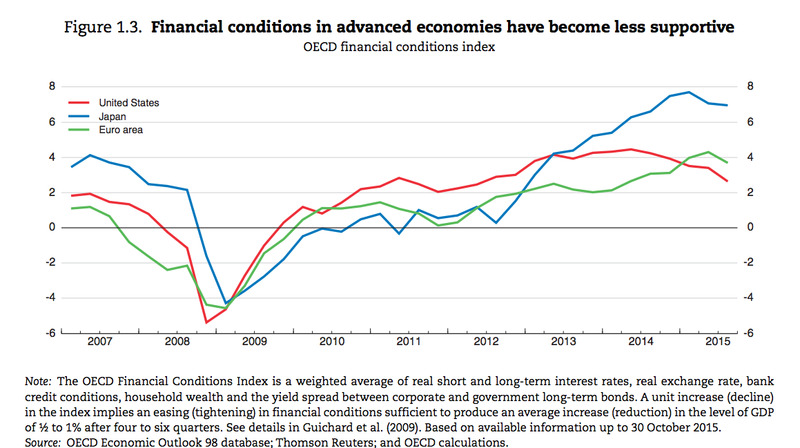 The measure of financial conditions — which includes metrics like short and long term interest rates, household wealth, and exchange rates — shows that after slow growth in conditions over the past five years, they are becoming less favourable. Growth in major economies is going to remain pretty stagnant in the coming years, according to this chart. 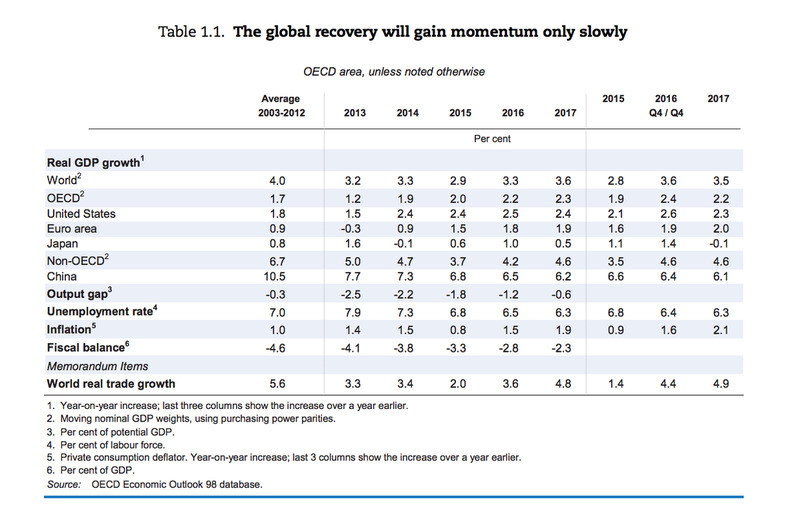 The forecast for growth in OECD countries in 2016 has been trimmed down from 2.5% to just 2.2%, to reflect the fears of a slowdown. Don’t expect inflation to grow much any time soon. “In the absence of significant further moves in commodity prices, exchange rates and inflation expectations, core inflation (excluding food and energy prices) should generally remain weak over the next two years in the advanced economies,” the OECD said. Brazil and Russia’s deep recessions — along with the impact of international sanctions on Russia — mean that their struggles represent a large proportion of the slowdown in exports by non-OECD countries this year.